Utilize alternative methods for detecting fingerprints. Examine some possible methods of gathering evidence when dusting for fingerprints is not effective. 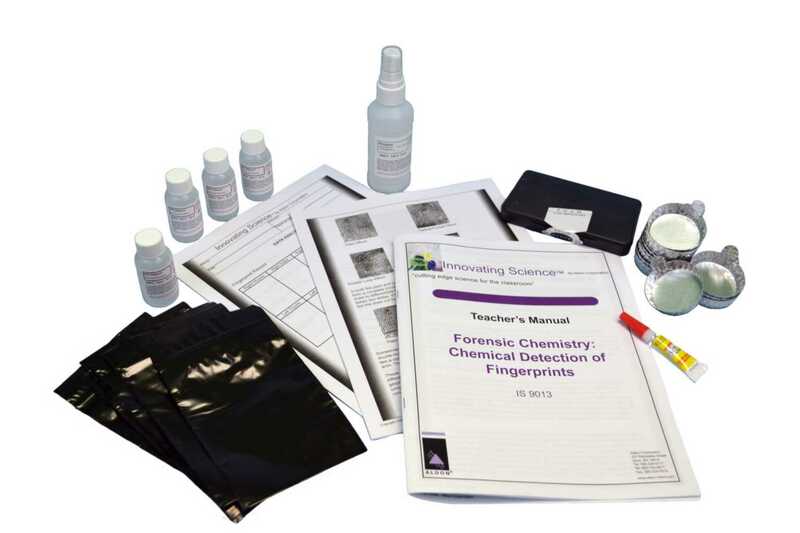 Learn to identify fingerprint types, a method of fuming for fingerprints, and a technique of chemically-developing fingerprints. The three activities include fingerprint analysis, ninhydrin development, and cyanoacrylate fuming. Ordering information: Includes Super Bonding Glue, Ninhydrin Powder, 95% Ethanol, Fuming Trays, Black Plastic Sheets, and Teacher's Guide and Student Copymaster.